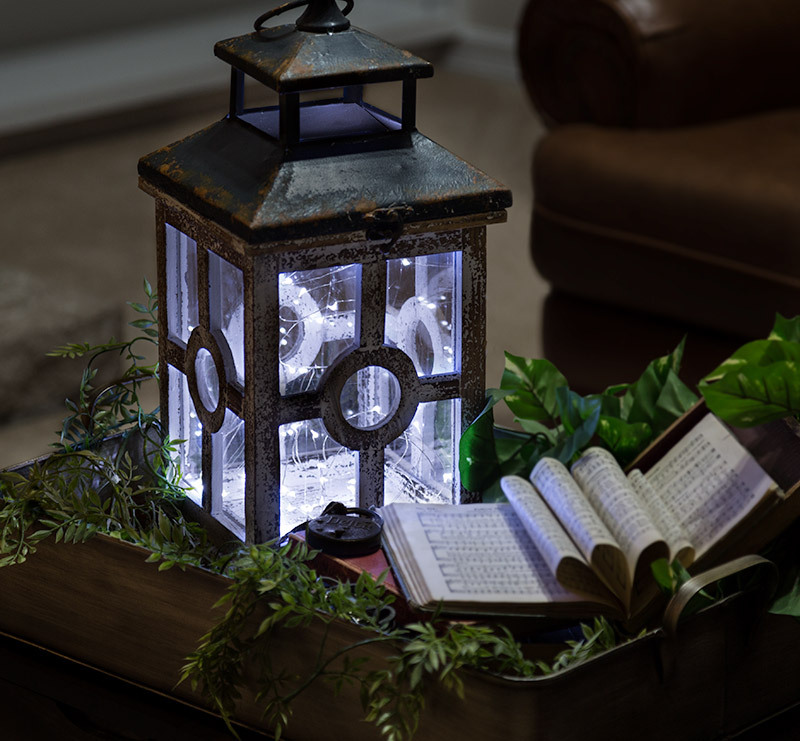 Use these LED Fairy Lights as craft lights, garland lights, wedding lights, costume lights, Christmas lights, and for other creative, decorative purposes. 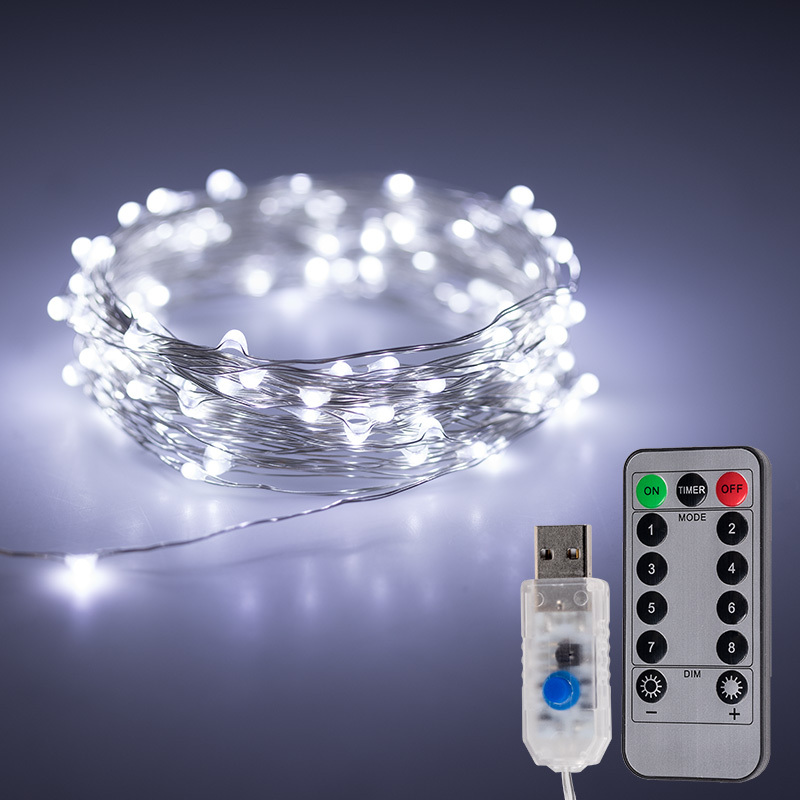 The USB-powered LED fairy string lights are evenly spaced on silver wire that can be bent to accommodate any shape. 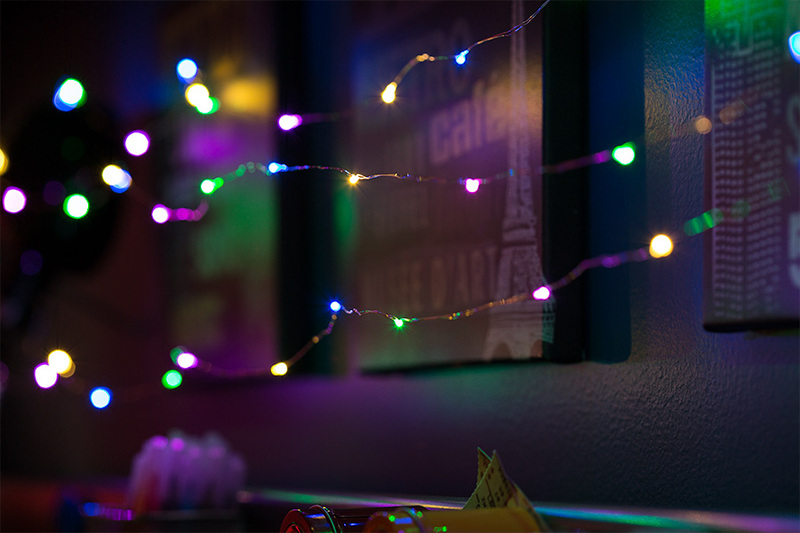 These LED Fairy Lights emit cool white, red, green, blue, and multicolored illumination that is controlled by the included handheld remote (CR2025 battery included). 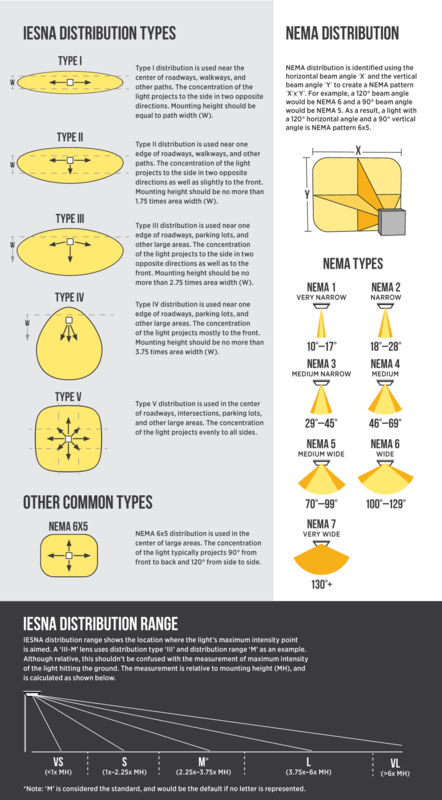 Choose from 8 dynamic modes or a static color mode, and dim the strings to your desired level. A 6-hour timer option is also available (lights will turn on at the same time daily). Strands measure 32' total (31' lighted length and 1' cord length). Does not include a USB wall adapter. USB powered. Plug into a computer, TV, or any USB phone charger. Lights are mounted to a silver wire that can be easily bent to accommodate any shape. Amazing light for the cost. 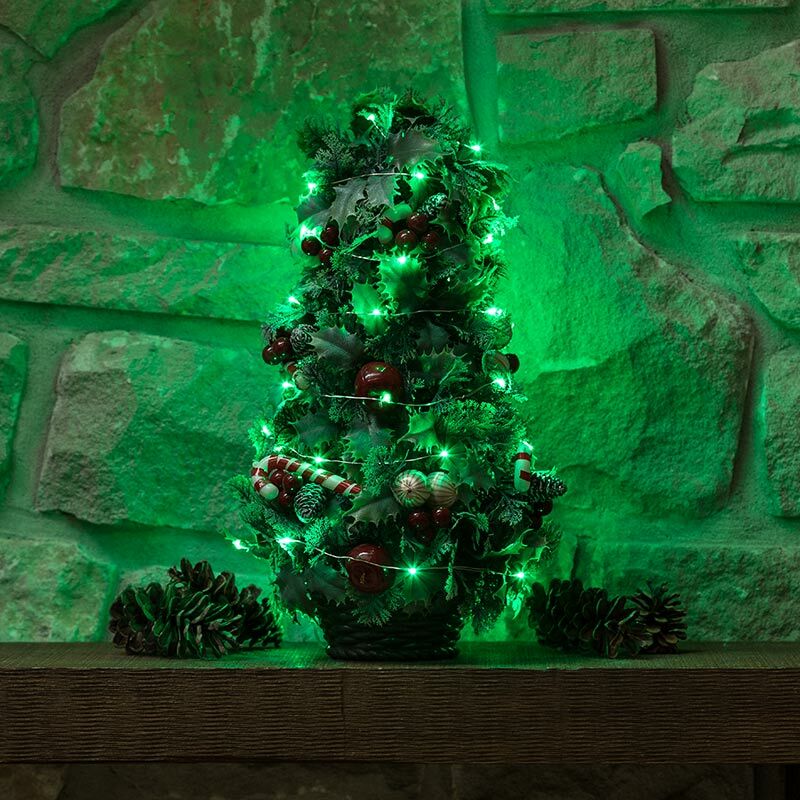 Quite possibly the best Holiday light you can buy for under $7. 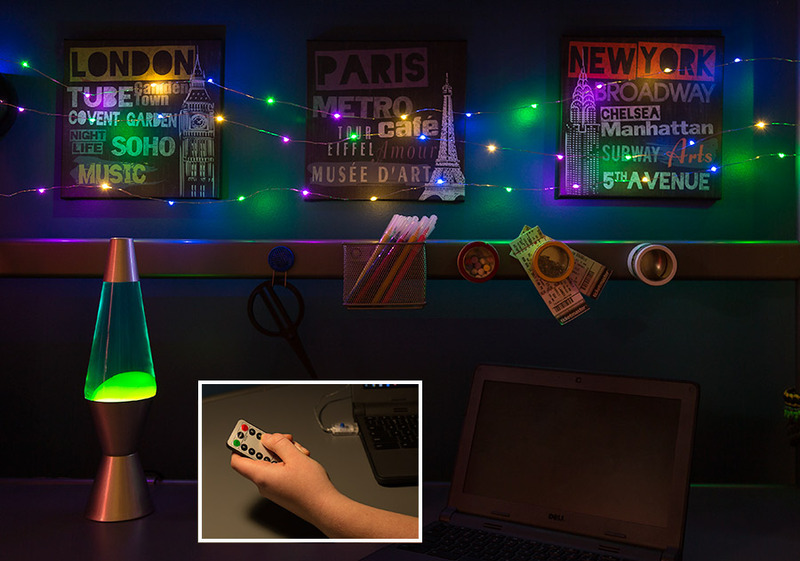 Perfect light to decorate the office, entertainment center or anywhere that has a USB input. Multiple light functions, with bright lights. Good product for the price. 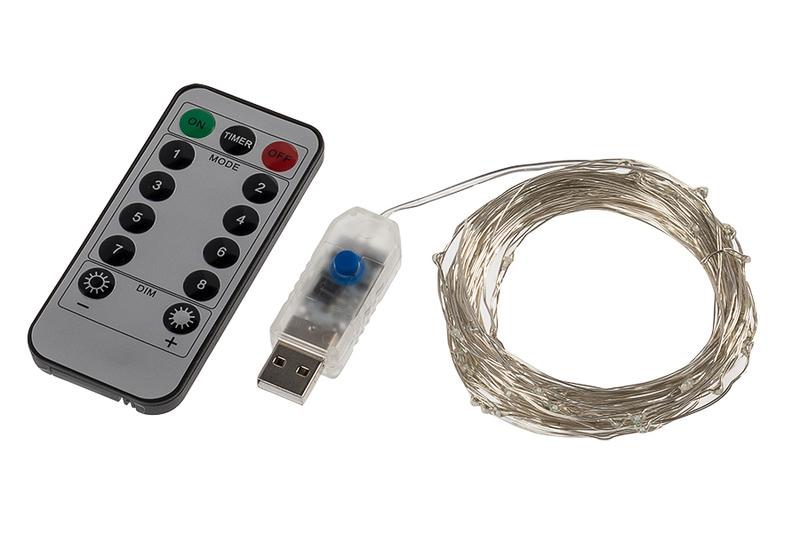 The USB powered controller works well with USB cell phone charger modules along with any device offering a 5vdc USB plug. I shorten my string by 1/2 by folding the string over on itself then chucking up the far end into my drill to give the shorter doubled string a perfect twist. Naturally space the strings together so there is a led every two inches. The string can be extended from the controller using 20 gauge speaker wire ($4.00 at Menards) heat shrink tubing and a bit of soldering. I stuff the fairy lights inside glass objects which creates awesome visual effects. I love the lights, and the ability to not only change the light mode, but to dim or brighten them. 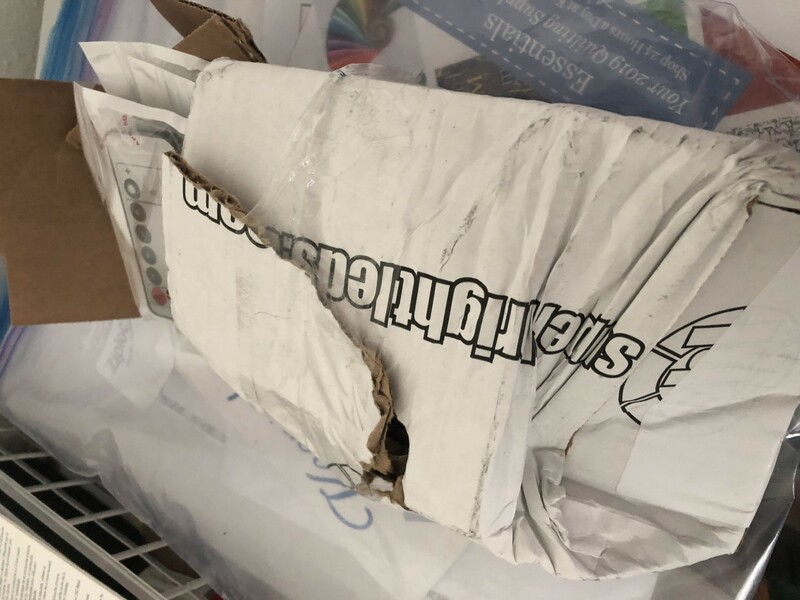 Unfortunately, they arrived at the post office looking as though the box had been run over by a Mac truck. One of the remotes is damaged but still works. Very pleased with price and the lights. Have only just turned on one set and have yet to use them for more than the test.